Bed bugs have been making a comeback in the developed world since the 1980’s. Increased worldwide travel, changing pest practices, lack of community education and rise in the use of secondhand furniture all contribute to this bed bug resurgence. Bed bugs are arguably the most detested of all household pests. 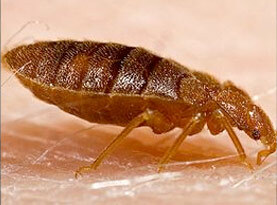 Bed bug infestations get out of control quickly and they can be extremely difficult to eliminate. When it comes to bed bugs and the 2016 Worst Cities List, Ohio is ranked not once but twice! That means that the new spread of bed bugs are hitting the state hard. There are some great reasons behind the problem and ways to have it treated. 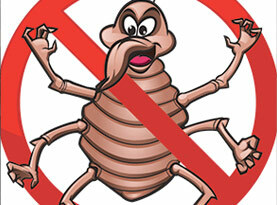 Bed Bug Free Lists Reasons that Bed Bugs Are On The Rise & What You Can Do About It! Why Are Bed Bugs On The Rise & Making a Comeback: There is not any concrete reasons as to why bed bugs are becoming so widespread lately but there are several good hypothesis. Scientists that study bed bugs have stated that one reason is because air travel has become more mainstream as well as affordable. Bed bugs are a huge problem when it comes to travel because there are people from all over the world sharing the same area. It only takes one person knowingly or not knowingly to sit by you or to send their luggage to baggage claim. It can end up sending the entire flight home with bed bugs and so the spreading begins. Another way that bed bugs are a problem with travel is that when people are staying in a hotel room that has been infested, they may bring them home. Second hand furniture poses a similar issue. Bed bugs are an even bigger problem due to lack of awareness and understanding of how bed bugs are spread, not to mention the stigma that comes with them. 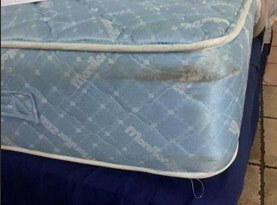 People are fearful of addressing the issue because they think that bed bugs mean they are dirty. That is far from the truth. Bed bugs are just as happy in a nice clean environment as a dirty one. Bed bugs need one thing – blood. And they can find that in any home. How To Deal With Bed Bugs: When it comes to bed bugs there isn’t a product at the store that is going to solve the problem. They are a specialty pest that need proper training and equipment to ensure that the live bugs as well as the eggs are gone. You cannot simply throw out the mattress because they can be in many other areas of the house including clothing, furniture and carpets. If you are concerned about bed bugs you need to call a pest control company that has the ability to treat bed bugs. 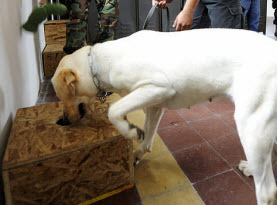 We can do either a visual or canine inspection as well as set up a custom treatment plan that will work for you. Bed Bug Free offers expert bed bug inspections as well as effective treatments so call our office today if you even suspect bed bugs in your home or business.